Athletics are not my forte. My head and heart know the importance of being active. My body prefers curling up with something to read. On this, our students are my teachers. It’s been an exceptional term in athletics. Exceptional in determination, participation, sportsmanship and achievement. It’s time I shared how much our students inspire me. Our students live our Habits on the court and on the field. Some already love the activities they join, and bring leadership, knowledge and experience from outside involvement. Some have little to offer in terms of skills before signing up, and yet bring a willingness to embrace learning and determination to try their best. Despite their nerves, they take that ‘responsible risk’, participate, work hard and grow as athletes. Side-by-side, our most experienced athletes equally take risks, such is the nature of sport and the many decisions inherent in trying to make successful plays. 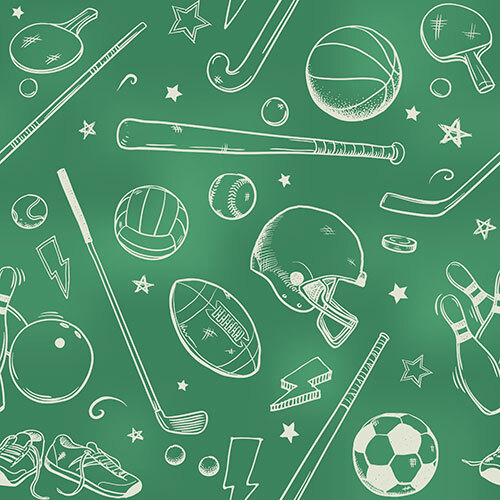 What they all practice through sport are many of the attributes they’ll use for success throughout life. Our school’s model is designed for participation. KCS offers team and individual sports, as well as competitive and non-competitive options for physical activity. Rather than limit students to just one sport, as they age they’re increasingly allowed to try out for all. In cross-country, touch football and track and field, all who turn up have an opportunity to participate. Ninety-eight students were on our cross-country team, a number far exceeding any other school in the final championship. For those who aren’t as keen on traditional sports, we offer Active Games, Boot Camp, Dance Troupe, Wii Dance, yoga and more. Third term last year we introduced paddle tennis and baseball. In first term there were 12 athletic extra-curricular options and over 200 of our students participated in one or more. Childhood and youth are times for opening doors. At KCS, an exceptional number of athletic doors are open. On sportsmanship, we couldn’t be more proud. From how our students handle themselves on the court and off, they regularly demonstrate that this rises above winning. If our team has a large lead, our athletes throttle back. When a teammate fell during the cross-country race, one young man stopped running to get the other to a teacher. When our fastest male runner lost to a faster female from another school, he complimented her for a great run and gave a high five. Our students honour the game, the athletes on all sides, and the officials. In doing so, they bring honour to themselves and KCS. All of the above is more than reason enough to celebrate our athletes. But achievement is also an exception worth mentioning this year. First term alone our students earned championship banners and plaques in the following sports: U12 boys’ soccer, U14 girls’ soccer, U14 girls’ basketball and cross-country. In addition, at the Mentor Invitational Tournament, our touch football teams came first and second out of eight places. All of this, and I haven’t even mentioned all the athletics our students are involved in outside of KCS: hockey, tennis, golf, dance, skiing, fencing, not to mention the daily collection of impromptu recess games. To all KCS students who have embraced the ‘Be active’ habit, you set an impressive example. This habit and all you learn as a result will serve you well in all aspects of your life. It’s a hard habit to establish when older. But your unavoidable example, and the Habits poster that I face from my office chair, will tolerate no nonsense. I’m wrapping up this tribute to get out of my chair and follow your lead. This entry was posted in Athletics & Outdoor Ed and tagged athletics, clubs, participation, Sport, sportsmanship, Student, teams by Andrea Fanjoy. Bookmark the permalink.